Kagan Structures are revolutionary teaching strategies. Why? Because they create an unparalleled level of student engagement. Structures ensure every student is individually accountable so no one can hide and take a free ride. Structures create equal participation, which means all students are engaged a much greater percent of the time. More structures means more tools in your teaching toolbox to create more student engagement, more student learning, and more success! 248 pages. All Grades. Students receive question cards with fun-to-discuss prompts. Students mix in the class, ask their classmates questions, and share their own responses. Question topics include: Getting To Know You, Icebreakers, Sports, If…, and many more. You receive 20 sets of 20 question cards—400 in all. 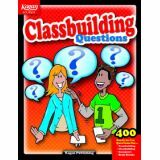 Question cards are also great for teambuilding, energizers, and brain breaks. 184 pages. by Laurie, Miguel, & Spencer Kagan. 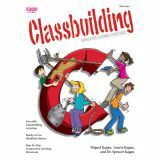 Create a caring, cooperative class through energizing classbuilding activities! 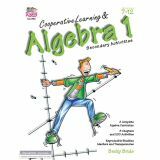 Includes step-by-step instructions, hints, variations, 100's of activities, and ready-to-use blackline masters for each of 11 favorite cooperative, classbuilding structures like: Mix-N-Match, Stir-the-Class, and Who Am I. Students are quickly and immediately energized—ready to tackle any curriculum. 168 pages. Use our brightly colored discs for a wide variety of learning games and other kids activities. make sorting, counting and organizational skills easy and fun to teach with these colorful plastic discs. 500 discs. Dramatically increase student learning. Transform your classroom and school into a cooperative and caring learning environment. How? Easy! With Kagan Cooperative Learning. 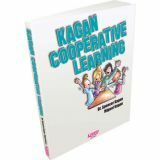 After decades of training and working with hundreds of thousands of teachers, Kagan has refined and perfected the most widely used and respected form of cooperative learning ever—Kagan Cooperative Learning. This classic best seller is your definitive guide to everything Kagan. 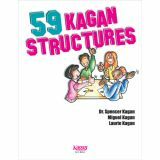 Learn the practical and proven Kagan Structures, including Numbered Heads Together, RoundTable, and Three-Step Interview—direct from the man who invented cooperative learning structures. Receive ready-to-do teambuilding and classbuilding activities to make your class click. Discover hundreds of helpful management tips, teacher-friendly activities and forms, and up-to-date research on proven methods. Hear how schools have used Kagan Cooperative Learning to boost academics, close the achievement gap, improve student relations, and create a more kind and caring school community. This book is your blueprint to full student engagement! 480 pages. 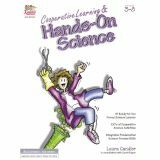 Learning science content has never been so fun and interactive. 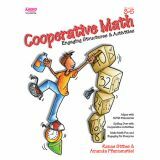 This book features Kagen Cooperative Learning Structures such as: Find Someone Who Pairs Check, Corners, Mix-N-Match, Word WEbbing. 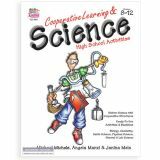 and GiveOne-GetOne to make science learning motivating and memorable. 280 pages. Engaging Structures & Activities. 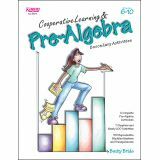 It's easy to make mathematics cooperative and engaging with these books! Inside, you will find 7 highly interactive Kagan Structures and approximately 50 ready-to-use activities that fit the NCTM standards. Your students will play Fan-N-Pick, a team game to answer math problems. Students will mingle with classmates as they Find Someone Who can perform math tasks. Pairs will Quiz-Quiz-Trade each other to cement math concepts and facts. Teams will play Showdown to review and reinforce their mathematical learning. 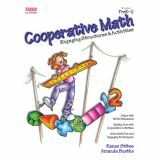 These books will save you tons of time preparing grade-appropriate cooperative math activities to engage everyone in your class.